Our New range of Gourmet Popcorn, all hand made in Yorkshire. Come and find us and give it a try. 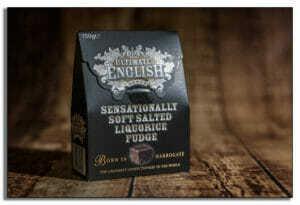 Sensationally Soft Salted Liquorice Fudge, which is just like eating soft liquorice. Rewardingly Rich Maple Fudge, made with Canadian Maple Syrup. Have you seen some of the fantastic reviews we have been getting over the last few weeks??? Take a look on our Facebook page to see what people are saying about the products. Here are a few dates and locations where we are going to be over the next few weeks. Are we coming to a town near to you???? That’s right our first December Christmas market is in Durham. The event runs from 2nd-4th and it’s all about Christmas. We are pleased to announce that we will be trading at all of Dalton Parks Food & Craft Markets in 2016. The first one is in August 19th-21st. More destinations to be announced soon. This is some of our summer products on offer, from the award winning Ultimate English brand. 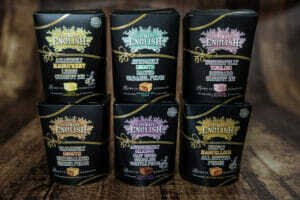 We will be offering various artisan confectionery products and brands, from different suppliers, throughout the year. Our summer offering will consist of gift tubs and sharing packs from the award winning Ultimate English Brand – hand made, celebrated, quintessentially, English Sweets which are steeped in heritage of over 150 years. Follow us on Facebook and find out if we are coming to a town near you.